by the Oriental Institute of the University of Chicago. 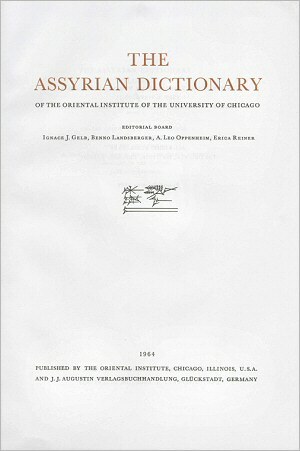 Martha Roth, Ph.D., Professor of Assyriology and Dean of Humanities, discusses the final volume of the Chicago Assyrian Dictionary, a comprehensive lexicon of ancient Akkadian dialects 86 years in the making. Roth has served as Editor-in-Charge of the project for the past 11 years. 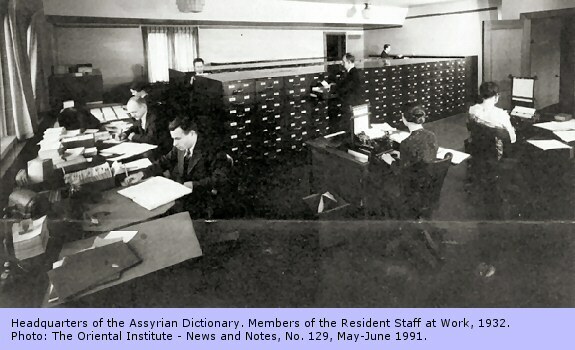 The CAD project began not long after James Henry Breasted founded the Oriental Institute in 1919, and barely one hundred years after the decipherment of the cuneiform script. This initial decipherment, and the soon-to-follow achievements in understanding the languages in which the hundreds of thousands of clay tablets were inscribed, opened an unsuspected treasure-house for the study and appreciation of one of the world's oldest civilizations. 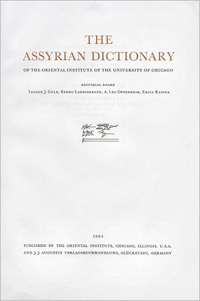 With sixteen of the projected twenty-one volumes published and the remaining volumes in various stages of preparation, with close to two million file cards - a database which is continually updated and which is accessible to scholars and students who wish to consult it - the Chicago Assyrian Dictionary has become an invaluable source for the study of the civilizations of the ancient Near East, their political and cultural history, their achievements in the sciences of medicine, astronomy, mathematics, linguistics, and the timeless beauty of their poetry. © The University of Chicago. Lecture by Karen Radner on "Assyrian Imperial Power and How to Oppose It"